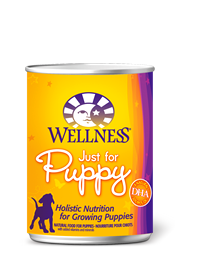 It is important to slowly transition your puppy from his/her current diet as it takes a few days for the body to adapt to new nutrient levels. 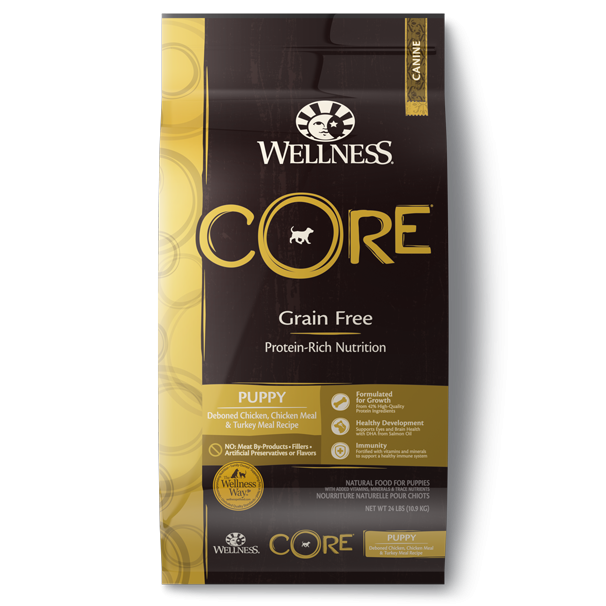 To transition, gradually mix in the new food over a 5-7 day period, increasing the amount of Wellness® CORE® each day, so that you are feeding 100% Wellness® CORE® by day 7. Looking at the chart to the below, divide the total cups per day by the total number of times you feed your puppy per day to determine the portion size for each meal. 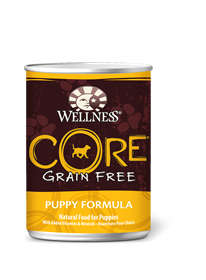 Give your puppy access to clean, cool fresh water at all times and feed Wellness® CORE® wet food in combination whenever possible, to increase the level of water in your puppy’s diet. Nutrition is the foundation of wellbeing, but be sure to give your puppy plenty of love, exercise and see your veterinarian regularly. Combination Feeding: If feeding with wet food, reduce dry amount fed by 1/3 cup, for every 6 oz of wet food.